RENE RIVEROL, a member of the firm since 2001, graduated from Montclair State University in 1985 (B.A.) and Fordham University School of Law in 1988 (J.D.). He is a member of the American Bar Association, the New Jersey State Bar Association, the Hudson County Bar Association where he is a member of the Workers' Compensation Committee and the North Hudson Lawyers' Club Association. In 2002, he became President of the North Hudson Lawyers' Club Association. He is also a member of the New Jersey Association for Justice -- formerly the New Jersey Trial Lawyers Association. He is presently a Master of the Hudson County Inn of Court of the American Inn of Court. He served as an attorney member of the Supreme Court of New Jersey District VI Ethics Committee from 1997 to 2001. He has lectured before Judges and attorneys of the Workers' Compensation Court. 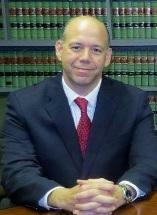 As an attorney, Rene practiced for several years with the firm of Ledesma & Diaz, P.A. in Union City and supervised/handled all personal injury and workers' compensation matters for the firm. In 1998 he resigned and joined Lerner & Piermont, P.A., where he became a partner in 2001. He has successfully represented countless claimants from inception through trial in the Division of Workers' Compensation and in the Superior Courts of New Jersey both in Hudson County and many other counties. He appears daily either before the Division of Workers Compensation or Superior Court. He is fluent in Spanish.